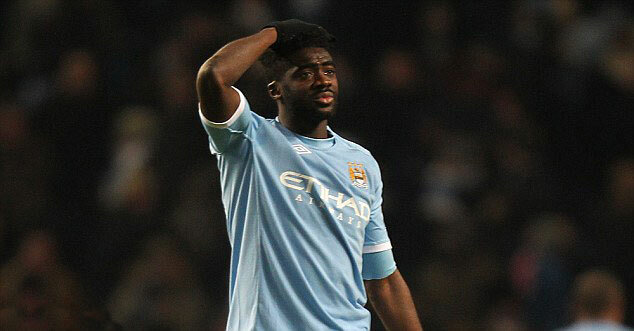 Kolo Toure brother of yaya toure has now on him a charge that can cause him his career. He has been suspected of takin the drugs. Now City in a little mess because of him would try to solve this problem out. This may not affect the team much but it might affect a player or so in the team. A club statement read: "Manchester City confirm that the FA has informed Kolo Toure that an 'A-sample' provided by him has tested positive for a specified substance. "As result of this, he has been suspended from participating in all first team and non-first team matches pending the outcome of the legal process." An FA statement read: "The FA can confirm that a player has been provisionally suspended from playing pending investigation, having tested positive for the use of a prohibited substance." He has been giving silly reasons for this and lets see if he gets out of this problem.